This is where the games and development logs go! 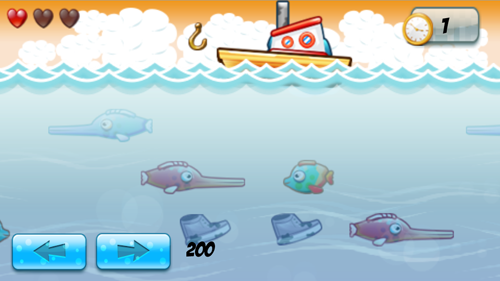 I plan to enter the fishing jam for my next html5 game, that I will add to my portfolio once finished. http://www.lowren.net Trying to make a living with HTML5 mobile web. Visit my website to follow my experience. I changed the game design. 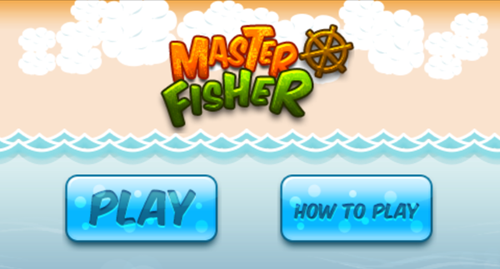 Now I'm doing a simple mobile arcade game in which you have to move the boat with arrows, and pick fishes with the hook by touching the screen (makes the hook go down). It's mainly designed to work on mobile devices, but it works on desktop too! I like a lot this game! I have played it on desktop but I had some troubles: when starting over it loads again and then it finishes with +200 score. Also, I am not sure but, does it have any sound? I hope these bugs are not that big. Your game is great! By the way... Did you use any game engine? I am a very novice game programmer, and I plan to start soon with HTML5.